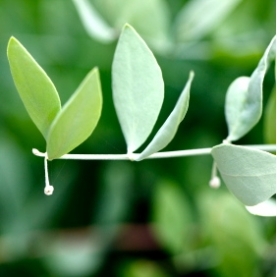 Jojoba oil is recommended for acne, dermatitis, oily skin, inflamed skin, as well as being great for the hair & nails. We are very fortunate to be able to source our jojoba from a farm right here in Arizona. This lovely carrier oil makes a wonderful unscented base for any blend. Its silky texture and neutral aroma adds an extremely stable ingredient to our belnds as well!